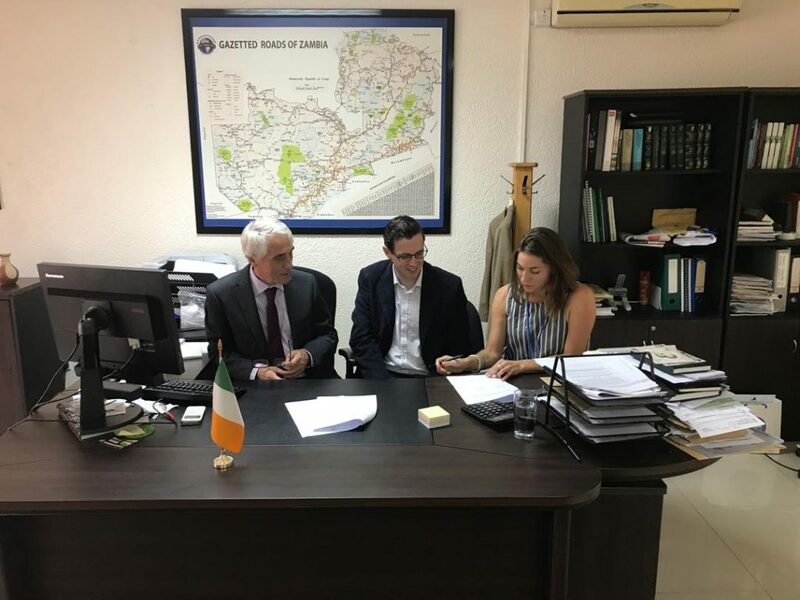 Irish Aid grant for €44,000 Euro for the Development of Education Skills in collaboration with the University of Zambia was signed this morning at 9.30 in Lusaka .In the photograph is Ambassador Seamus O Grady Irish Ambassador to Zambia, Dr Patrick Mc Sharry Neri Clinics and Sally Bell Cross i4Life nutritionist. It is the first grant of its kind in Zambia and will enable dietetic students and BSC students from University of Zambia, Community Health Workers, Neri clinic staff all to receive ongoing specialized training and clinical education at i4Life nutrition clinic. This training will be delivered by Sally Bell Cross i4Life nutritionist, Nutrition intern Joyce Makala and three UNZA lecturers from the dietetic department UNZA. Thank you all so much for your support. Looking forward to meeting everyone on the 9th and although the event is starting at 3pm it would be great if everyone could come for 2.30pm just to take a few photos to mark the occasion with the Neri clinic board and team.